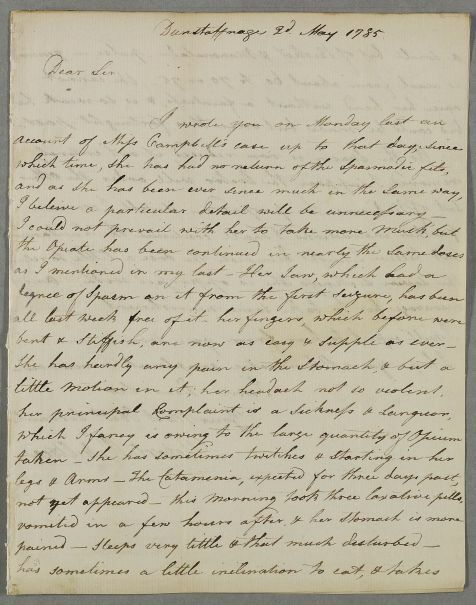 Letter from Robert Ochiltree to Ivie Campbell, concerning the case of Miss Campbell whose 'spasmodic fits' have ceased with the use of opiates. 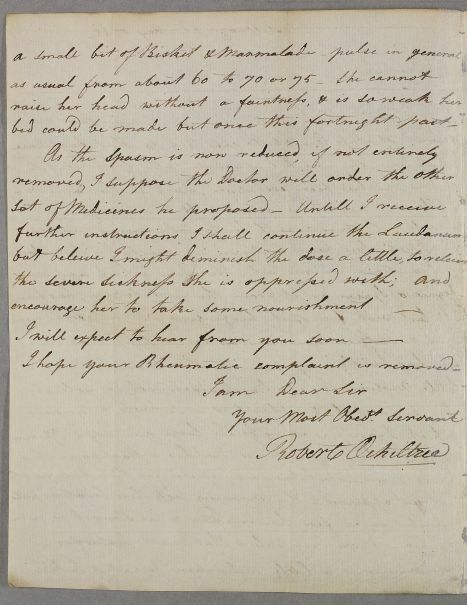 Summary Letter from Robert Ochiltree to Ivie Campbell, concerning the case of Miss Campbell whose 'spasmodic fits' have ceased with the use of opiates. 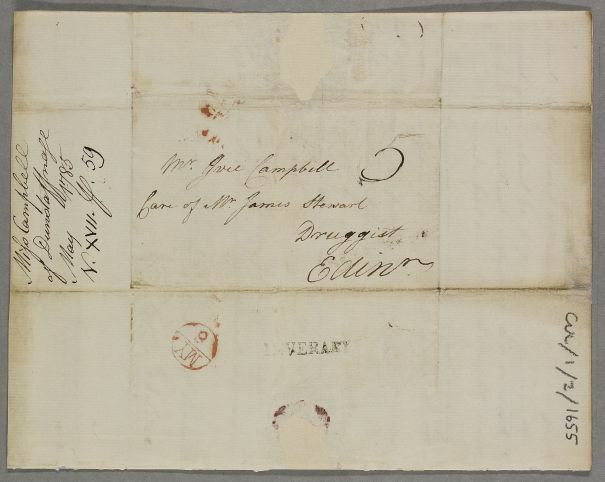 Case of Miss Campbell of Dunstaffnage who is suffering from severe headaches and pains in her side since developing an ulcer after ignoring a scratch on her shin. bed could not be made but once this fortnight past. I hope your Rheumatic complaint is removed.